When was the last time you wrote a letter instead of dropping an email to your colleague? Maybe never. Isn't it? Simply because the technology evolution has transformed our lives to a whole new level, and of course for better reasons. Whether it is the automobile industry or healthcare industry, every industry has faced a noteworthy transformation along this tech world advancement. Then why would the restaurant industry be left behind? Even the food business has taken a parallel step with the technology evolution by introducing major concepts including digital menu, online food ordering, restaurant POS systems, and a lot more. 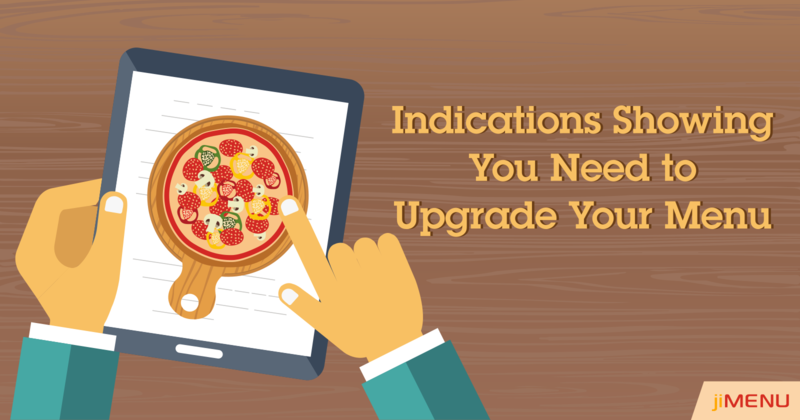 How a digital menu will boost up your restaurant business? How much money do you spend on getting your paper menu designed, printed, and then getting it re-printed when you have any changes in your menu items? You actually spend a lot over it. Right? Replacing the paper menu with a digital menu can simply bring a revolution to your restaurant operations and customer experience too. Making a switch to the digital menu will simply present an attractive and clear view of your menu to the customers and helps in conveying a better dining experience for your customers. Reduced staff engagement: Automation simply means reduced efforts and manpower. Switching to digital menu represents a clear menu over a tablet on every table, thereby reducing the need of your staff to attend the customer and recite the menu items and availability all over again. Quick menu updations: Want to add seasonal dishes to your menu or delete an item which is no more available? No worries! Digital menu lets you make modifications instantly without any extra staff, efforts, or costs. It just takes a few seconds to update your menu at anytime, from anywhere. Enhanced Customer Experience: Getting all the menu items in a proper categorized order, the latest combos available, new seasonal dishes, and getting an attractive view of images of the dishes will directly compel the customers to order more and eventually become your permanent customer. Cost Effective solution: Spending huge expenses over getting menus designed and then printed is not at all worthy when you already have the option of digital menu. Switching to digital menu lets you quickly prepare your menu and make modifications anytime without any further costs. Real-time Data Analytics: Tracking data has been the most difficult task in all industries. Analyzing about your weekly sales, the dish which is preferred more, which food category has falling sales, etc can be easily and accurately examined using a digital menu in your restaurant. Remote Control: If you own a single restaurant, it might be easy to handle operations manually. But having several outlets present at different locations makes it difficult to manage all of them simultaneously. Integrating a digital menu system lets you manage multi locations data accurately and thoroughly. Staying ahead of the competition! Implementing a digital menu for restaurants is a one-time investment package which accompanies unlimited benefits for your restaurant business. So, before you plan to invest in, take out enough time, get your requirements clear, make a thorough research of the vendors previous ventures, and if satisfied, then take a step forward. If looking for a cost-effective digital menu, you can rely on jiMenu. jiMenu guarantees you the genuine digital menu services at the most affordable costs. Still not convinced? Connect with us and know more about jiMenu!